Sharon Johal has hit the small screen in network Ten's TV show, Neighbours. She is the first Punjabi Sikh actor on national television in a mainstream program. Sharon Johal was born in the Riverland, in rural South Australia to Saroop Singh and Amanvir (Molly) Johal. Sharon is proud to be breaking down barriers and inspiring others, especially young women. She is the first Australian Indian/Punjabi character in a permanent role, and the first half of an interracial couple as a permanent character on mainstream television. In an interview with SBS Radio’s Preetinder Singh Grewal, Sharon said that she is proud to be a part of a more accurate representation of the Australian community as it is today. After graduating with a Law and Commerce degree, she moved to Melbourne with the hope of furthering her acting career. She worked full-time as a commercial and litigation lawyer, while also attending auditions. "Coming close to winning various roles many times, and the continuing process of callbacks, auditions and rejections was heartbreaking and torturous." She received a call late last year to audition for the role of her now sister on the show, Mishti, and went through various rounds of auditions. She was subsequently asked to audition for the role of Dipi Rebecchi and was successful. Sharon says she has fallen in love with Dipi as a character given her "warmth, strength, vibrance, independence and sense of family by creating a better life for her children and husband." Whilst it is a challenging role given that Sharon was required to play a character much older than herself with a "ready-made" family and a complex history, she says that the depth and complexity of the character and obvious challenge in portraying her in the "realest" way possible attracted her to the role. Sharon’s experience was that diversity on screen for television and film was not as prevalent as it is today, and opportunities were scarce though she believes there is still a long way to go. Even so, Sharon was able to secure major advertising campaigns, won modeling competitions, performed in short films and in the Australian television show 'Winners and Losers'. She has various music film clips under her belt, theatre shows performances (Fringe Festival) and lifestyle television shows. Sharon was convinced by a friend to audition for the SBS documentary show 'Bollywood Star' in 2012. At the time she was not interested in moving to another country to act, but was also aware that given her physical appearance, there was a market for her in India. After a nationwide search, thousands of participants and vigorous rounds of auditions, she made the final six contestants who travelled to India to audition for highly acclaimed director Mahesh Bhatt for a role in one of his movies. Sharon made the top four contestants and subsequently came runner up. Into the future Sharon says that she is looking forward to performing in more complex and challenging roles in television, film and theatre - not limited to Australia, transcending different genres and languages. She says that she may still consider working in Bollywood/Punjabi films in the future as she proudly sees herself as an Australian Sikh Punjabi. While her parents were not supportive of her choices initially, they are now fully behind her and could not be happier. Sharon was born in Australia but maintains a strong connection to her identity. Her parents ensured that Sharon and her siblings were exposed to Punjabi culture from birth. Her father taught at the local Punjabi School and sent the three siblings to study the language, culture and religion in Himachal Pradesh, India. Sharon learnt how to read and write Punjabi/Hindi, Gurmukhi, and also how to play Tabla, Harmonium, Dhad and Sarangi. Sharon, like her father, is a keen advocate for the disadvantaged and volunteers regularly for charities and organisations. She has provided legal advice for displaced and homeless peoples, worked in soup kitchens in Adelaide and Melbourne, volunteered for Link Pets, RSPCA, assisted disabilility organisations, volunteered for the Equity Diversity Committee, been a Starlight ambassador and has assisted with Sikh Youth committees. Big Daddy, a Punjabi family movie based on the father-son bonding is set to release on April 21, 2017. Harnav Bir Singh is a passionate photographer who has impressed one and all with his creative work in a very short span of time. But today in SBS studios, we explored a totally different side of Harnav, which is Harnav - The Poet. Punjabi actor and singer Diljit Dosanjh won the Best Debut (Male) award for the controversial movie 'Udta Punjab' at the 62nd Jio Filmfare Awards. ਕੋਈ ਗੱਲ ਸੁਣਾ ਦੇ ਅੰਦਰ ਦੀ, ਨਾ ਮਸਜਿਦ ਦੀ ਨਾ ਮੰਦਿਰ ਦੀ - ਕੰਵਰ ਗਰੇਵਾਲ - In this interview, we speak to Punjabi singer Kanwar Grewal who shared his words of wisdom and his passion for spiritual music and singing with SBS Punjabi's Preetinder Grewal. Kanwar studied music from Punjabi University Patiala, and is currently on his Australian tour. Babbu Mann is a famous Punjabi singer and film actor. He is currently in Australia for his singing concerts. 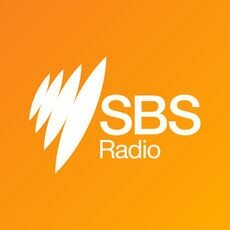 In this conversation with SBS Punjabi's Preetinder Singh Grewal, Mr Mann explains his love for Punjabi singing and cinema.